Earlier this year, the Delhi Government held many events celebrating 100 years of Delhi being named the capital city of India. 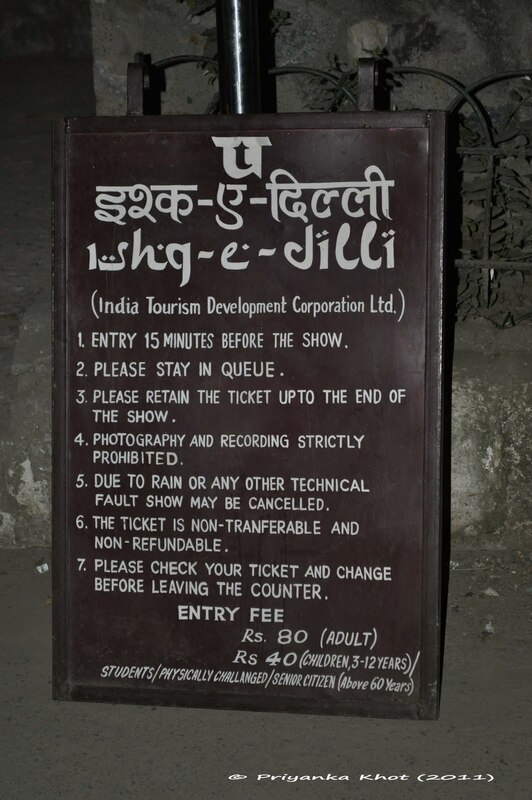 Unfortunately, I was not in the city or in the mood for celebration then. 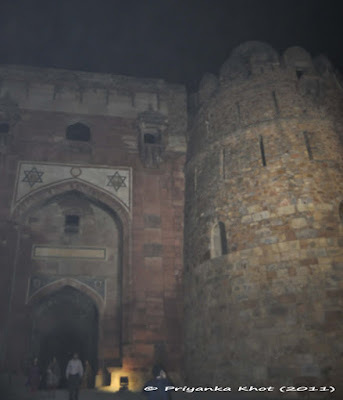 But I think it is never too late to join the party so I decided to explore some treasures of the city I had heard a lot about but never explored myself. 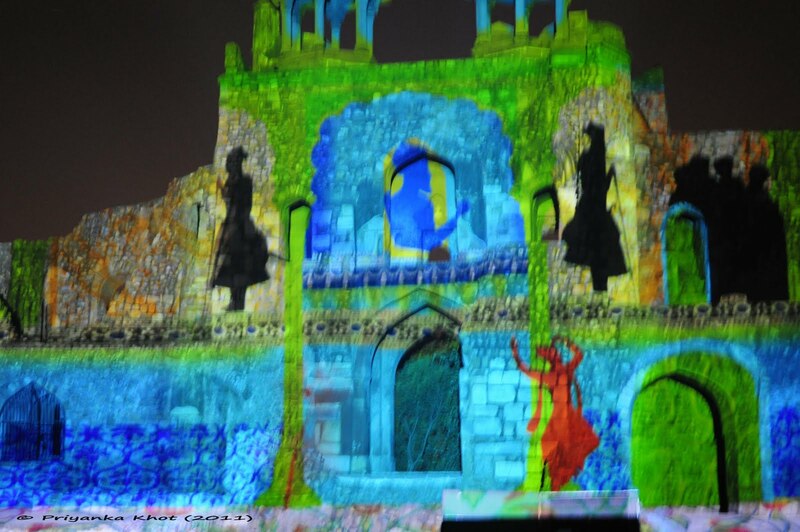 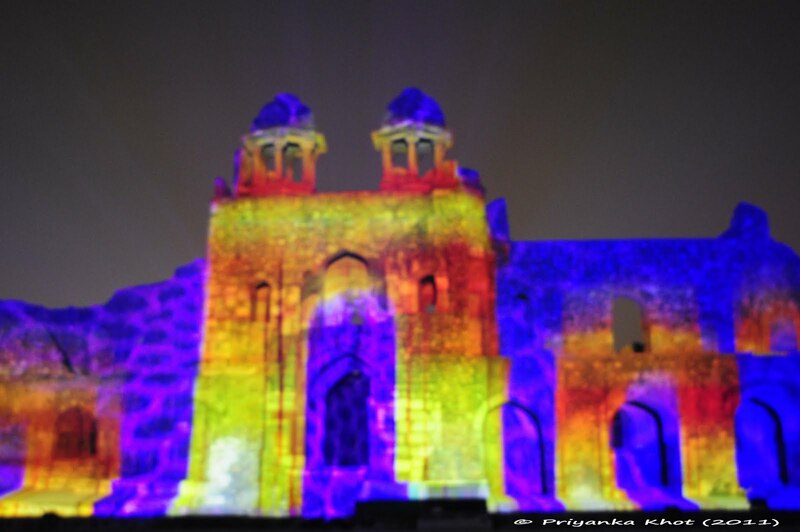 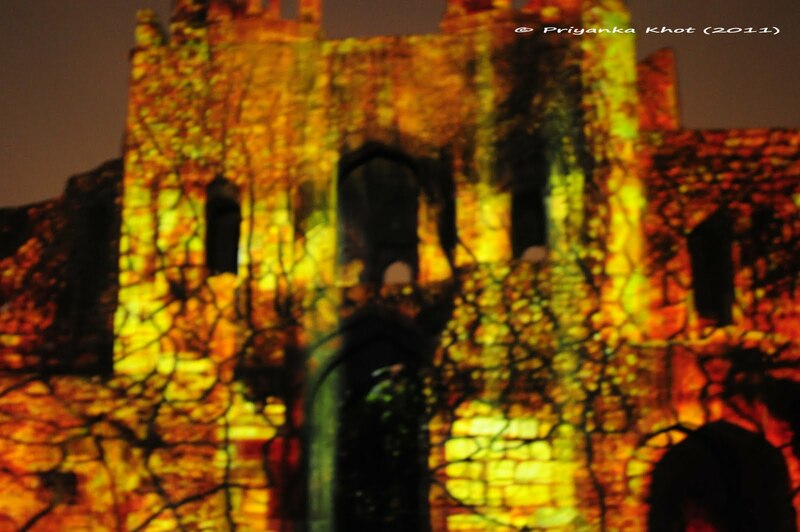 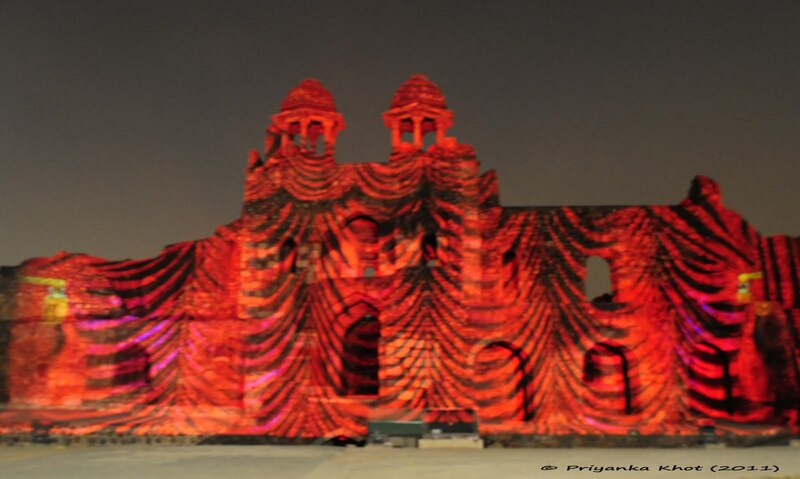 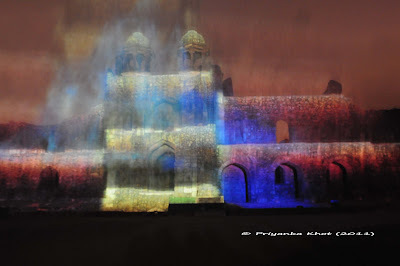 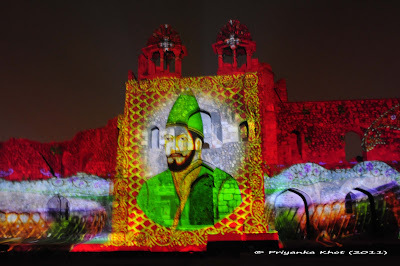 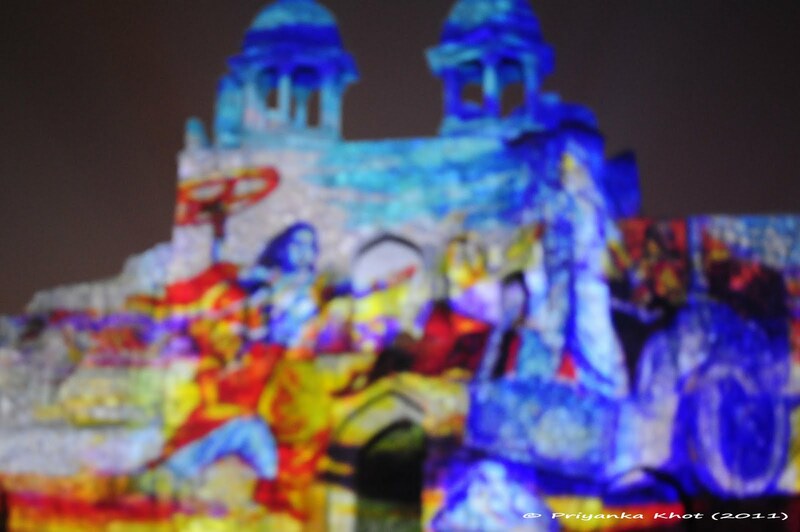 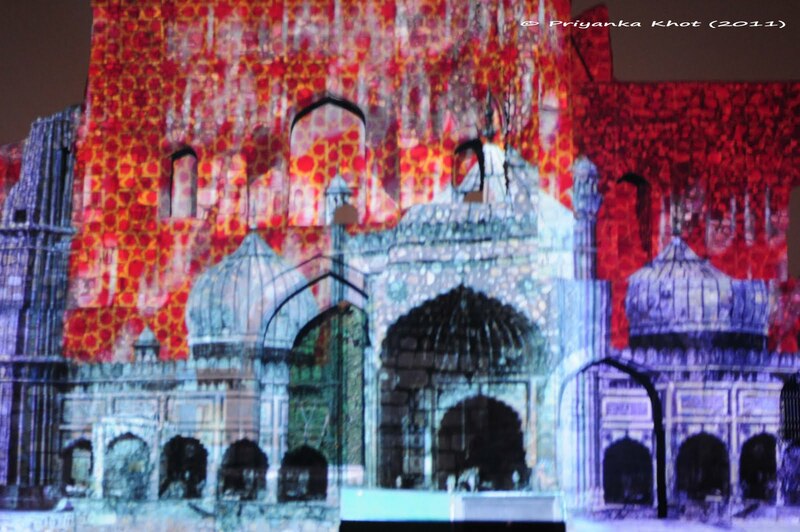 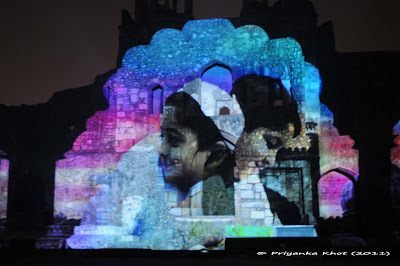 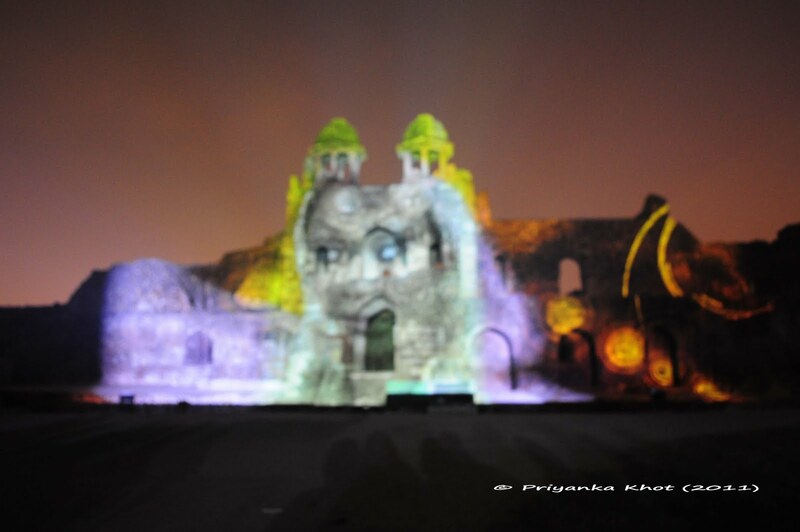 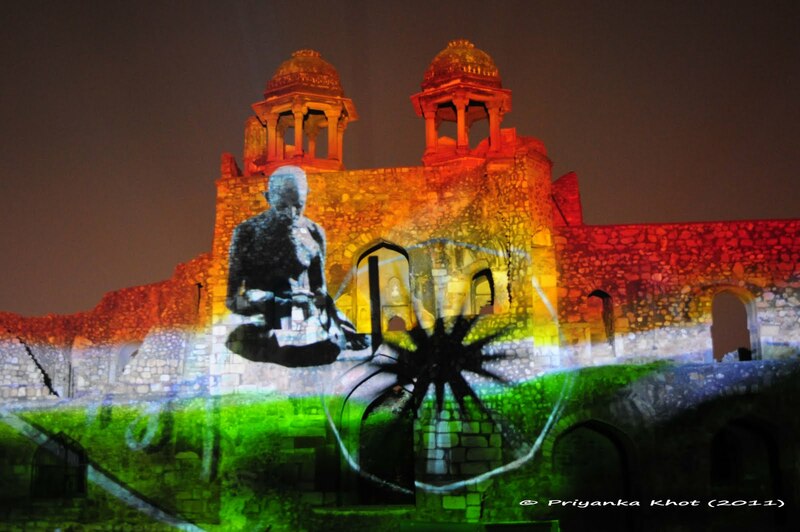 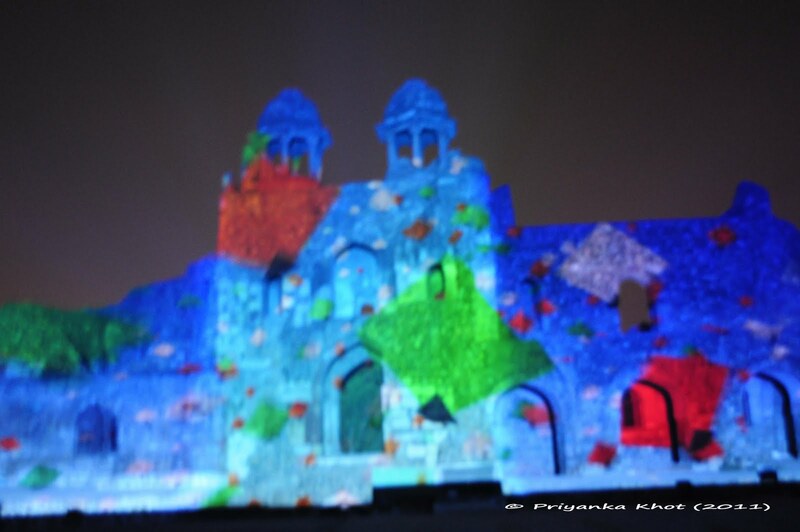 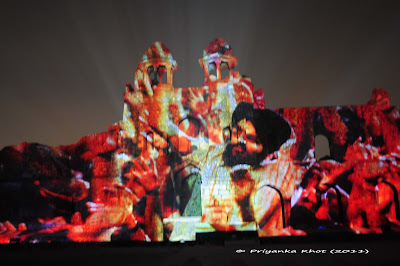 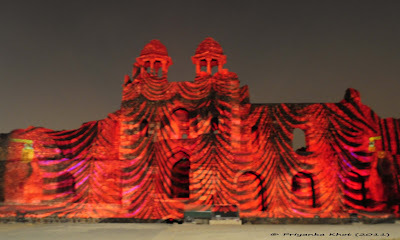 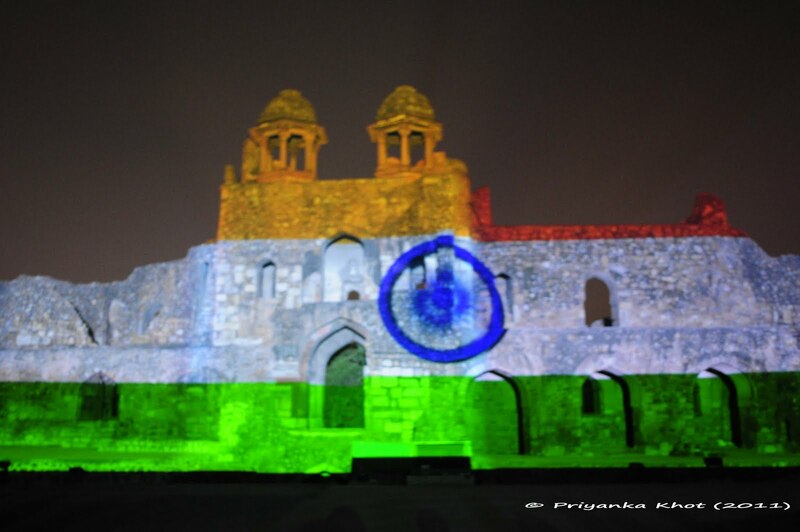 First on my list was the Light and Sound Show called, Ishq-e-Dilli (Love for Delhi) at Purana Qila or Old Fort. 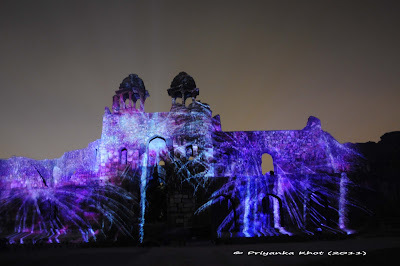 The show beautifully captures the history of Delhi, how the city passed on from the hands of one ruler to the other and how several men and women have expressed their love for the city from time to time. 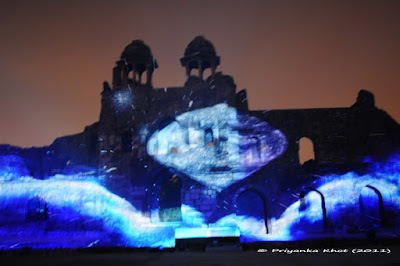 I would recommend everyone living in Delhi or visiting it to see the show at least once. 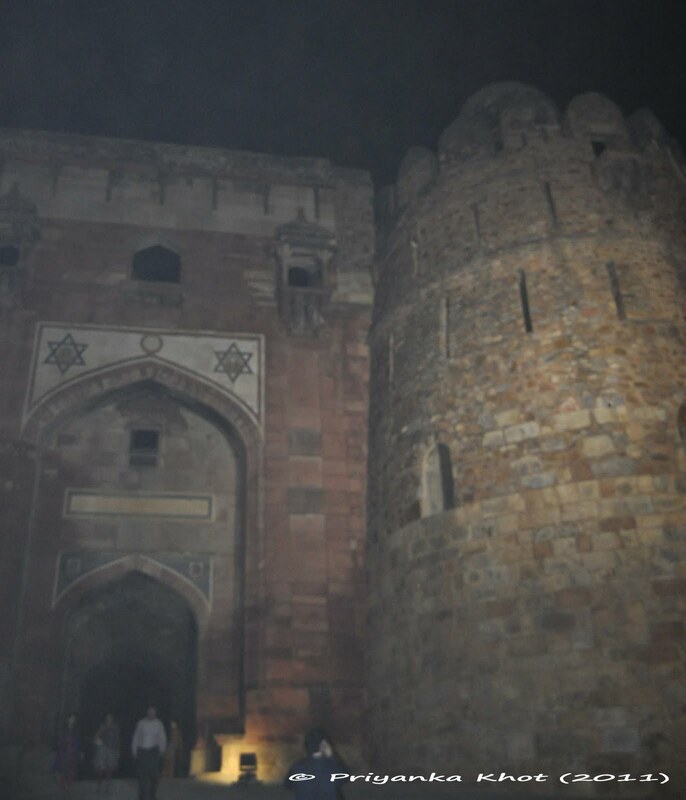 The dimly lit Old Fort and the nip in the air created the perfect ambiance for a magical evening of history, sound, light and love for Delhi. 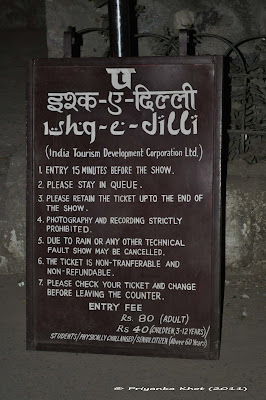 The number 4 instruction left me a little disappointed but with a huge smile the staff there told me that only commercial photography was not allowed. 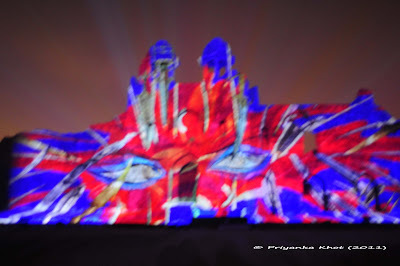 I could take my camera. We were greeted with these curtains on the wall that was to function as our stage. 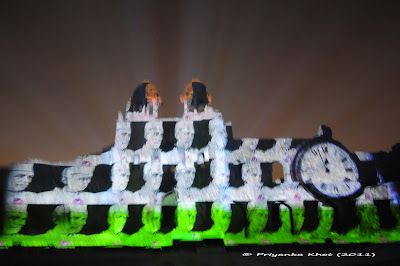 The curtains were raised and history unfolded. 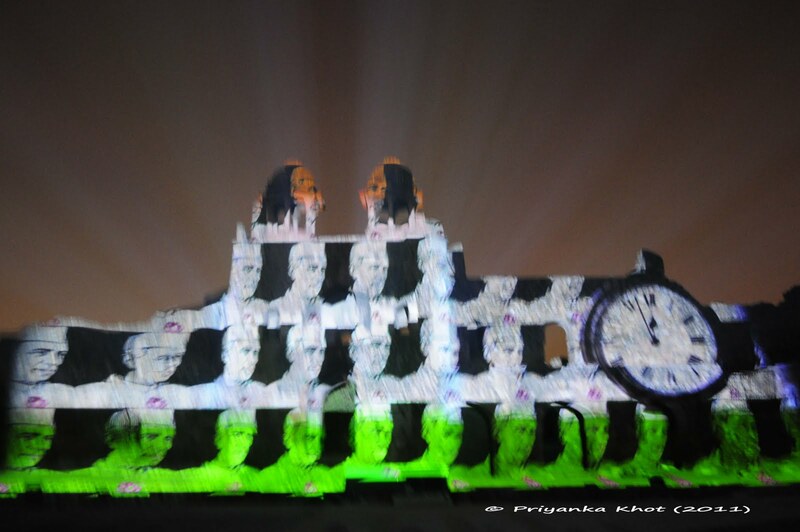 A scene from the Mahabharata. 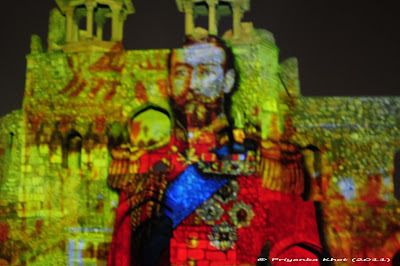 Wars with the British led to a lot of bloodshed. 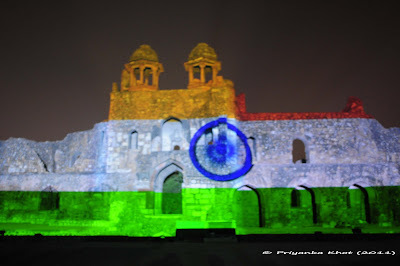 Nice Photography & Thanks for the blog post.